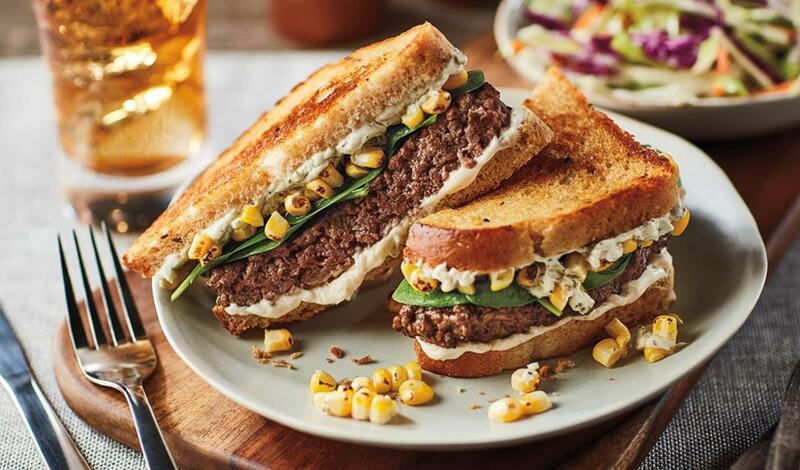 A ground beef patty topped with sweet corn, mild goat cheese, fresh spinach and zesty black pepper mayonnaise on rye bread. Griddle bread slices, topping one slice with cheese until bread is toasted and the cheese is melty. Spread Black Pepper Mayonnaise on bread slice without cheese.